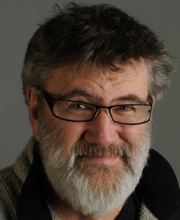 Tim Wynne-Jones, the author of several award-winning books for children, young, and not-so-young adults became an Officer of the Order of Canada in 2012 for his service to children’s literature – the same year he was Canada’s nominee for the Hans Christian Anderson Award. Other awards include the Governor-General’s Award, the Arthur Ellis Award for crime/mystery writing, and Boston Horn Book Award (all twice), the Edgar Award, and the Canadian Library Association’s Book of the Year (four times). His work is published internationally and has been translated into a dozen different languages. A faculty member with Vermont College of Fine Arts’ MFA program, Tim is a gifted teacher who has fostered the development of some of Canada’s most exciting new writers. He lives near Perth, Ontario.